The annually anticipated floral spectacular, RHS Flower Show Cardiff – supported by wealth manager Brewin Dolphin – will return to the city this April embracing Visit Wales’ Year of the Sea and highlighting the sensational Welsh coastline with a host of themed gardens and related features and activities to spark the imagination. 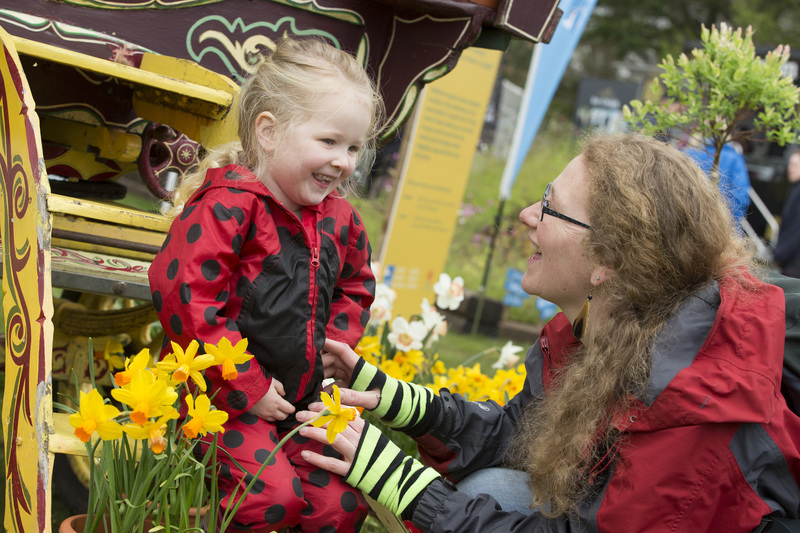 A fun day for all the family, The Royal Horticultural Society (RHS) – the UK’s leading gardening charity – has revealed an exciting line-up for 2018, bringing vibrant Show Gardens, floral displays, interactive activities and brand new Regeneration Gardens to the grounds of the Welsh capital’s stunning Bute Park from 13 – 15 April. Youngsters will be able to get stuck in to a host of fun activities throughout the weekend – exploring the showground on a trail to hunt for giant watering cans and plant pots, creating headdresses and buttonholes at the hands-on ‘Flower Festival’; taking flower arranging and craft workshops with the award-winning Lily Pad Flower School and flying high on the ever-popular ferris wheel. There will be lots to learn in the National Museum Wales’ mini labs, allowing little fingers to investigate rocks, minerals, fossils and plants, and RSPB Cymru, Cardiff Council and Buglife will be bringing their Swift City Garden to the Show. Recreating the swifts’ coastal habitat of Cardiff Bay, the family-friendly garden encourages children to get closer to nature, hunt for mini beasts and enjoy a view of the swifts’ nesting tower. Raucous roaming entertainers will return for 2018 – the eternally curious Mr and Mrs Pigeon (The Pigeons!) will be investigating everything they come across, pecking and scratching around the showground; and showing their love ‘pigeon style’ with much strutting and feather ruffling! ‘Green Fingered Gals’ Maregry and Rosemary will be weeding and pruning among the crowd and Mr & Mrs Flora-Lily La Mer will wow with their fabulous floral displays. “We’re just putting the finishing touches to this year’s Show and it’s gearing up to be a great one. “As always, our aim is to demonstrate the appeal of the Show to all ages. From youngsters enjoying the interactive activities – the lovely owls from the Ebbw Vale Owl Sanctuary, the raucous roaming entertainers and schools’ wheelbarrow competition – to amateur gardeners looking for a few tips, those who already have a keen interest in all things horticultural and those simply looking for a great day out! For more information or to buy advance tickets for the RHS Flower Show Cardiff visit www.rhs.org.uk/cardiff.